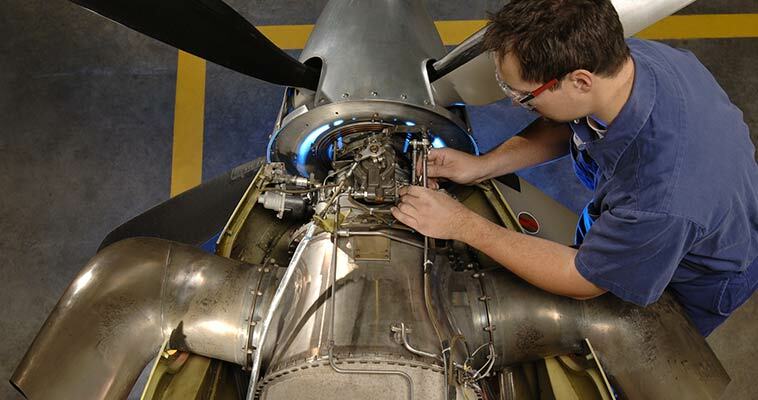 A hot section inspection (HSI) involves examining the condition of a number of key engine parts, including the turbine blades, the combustion chamber, the stators, the vane rings, the compressor turbine disk and the shroud segments. 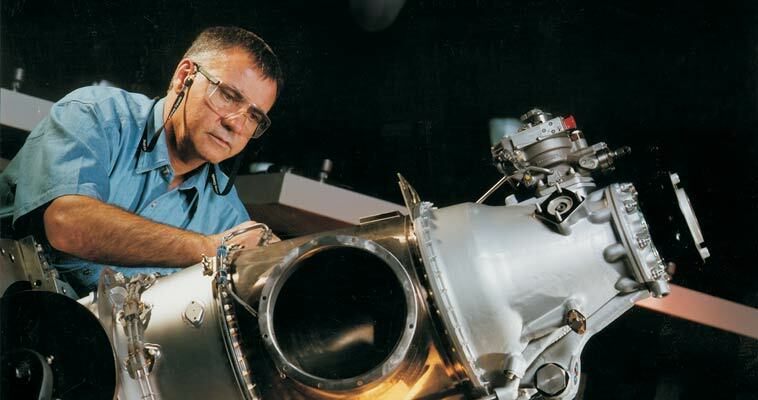 A hot section inspection is performed on a PT6 engine. Traditionally, an HSI is required when the engine reaches the halfway point of its time between overhauls (TBO). If the TBO is 4,000 hours, an HSI should be scheduled at 2,000 hours of operation. This is known as a ‘hard-time’ HSI. The TBO of an engine is specified in its maintenance manual. However, thanks to the increasing sophistication of engine health monitoring systems in recent years, including technologies like P&WC’s FAST™ solution, it’s become common for HSIs to be done ‘on condition.’ This means that, rather than being performed after a fixed number of hours, an inspection only happens once the data indicates that it’s required. While an HSI is usually done as a preventive, planned maintenance activity, unscheduled inspections are sometimes needed. For instance, if the battery is not in good condition when the engine starts up, it can result in an ‘overtemp’ (high ITT) situation, warranting an unscheduled HSI. For a small aircraft engine like a PT6A, an HSI is a relatively quick and simple procedure that can be done on-wing. It simply requires opening up the hot section and examining the components using standard tools, plus any specialized tools indicated in the technical manual. But, this approach is not possible for all engines. For instance, the way the larger PW100 turboprop engine is installed in the nacelle means it has to be removed and sent to the shop for an HSI. There are many excellent reasons to perform an HSI: It helps make sure that the aircraft engine will continue delivering the expected power and performance. It will increase the engine’s durability. And it can reduce maintenance costs by providing operators with more control over their maintenance activities. 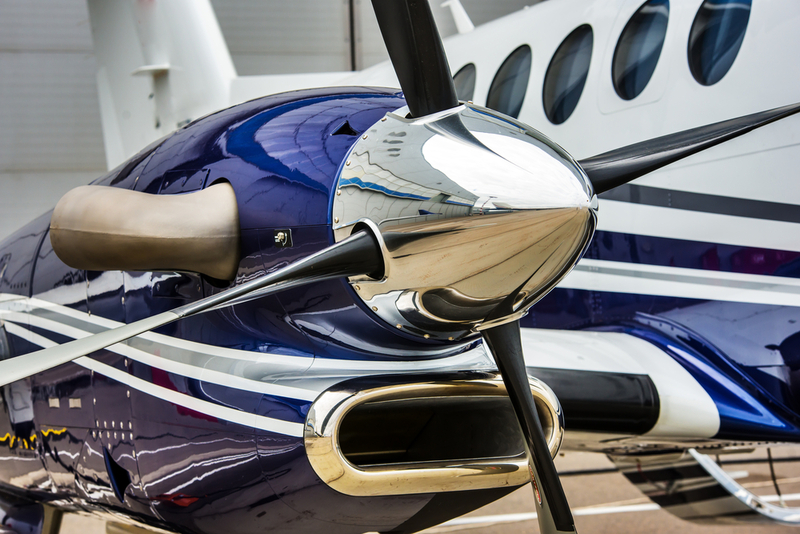 A recent HSI is also an asset when selling a used aircraft. An engine that is ‘fresh since HSI’ or ‘fresh since overhaul’ is more valuable than one which has not been inspected recently. A mechanic performs an on-wing hot section inspection. An HSI can reduce operating costs by identifying small problems before they lead to more serious damage, which requires replacement of parts. For example, an HSI can reveal a minor crack in a non-rotating part, while the part is still within the acceptable standards to continue operating. This allows the operator to take immediate action by repairing it through welding or grinding. If the crack is not identified at an early stage, it can grow over time, until the entire part needs to be replaced. The costs associated with the HSI depend on what is revealed. If the engine is still in good condition, it’s simply a matter of paying for the inspection itself. On the other hand, if the HSI reveals that major components need to be replaced, there can be significant associated costs. These include looking for external fuel and oil leaks, inspecting the gearbox oil seals, and checking cases for corrosion, which is especially important for aircraft that operate in salt-water environments.